It’s been more than 24 hours since the Apple Watch is available for pre-ordering, so naturally, everybody is curious about how the Cupertino-based company’s first wearable is doing. After all, on a market dominated by models like Pebble Time or Moto 360, only a brand like Apple could come with a suitable competitor. So, who can give a better answer to our question if not Mr. Tim Cook himself, Apple’s CEO? According to Trusted Reviews, he was interviewed by CNBC at the local Apple store from Palo Alto, California, declaring that the early reaction to the wearable has been ‘extraordinary’. Even more, Mr. Cool sustains that customers are delighted with the Apple Watch, giving great feedback after getting the device around their wrists. Still, there are not details about how many watches were sold. There’s no need to say that we’re very curious about how well it will perform, due to a couple of reasons. A lot of analysts said that the device won’t sell as great as Apple expects. Also, it seems that the manufacturer is dealing with stock shortages, so a lot of models were being listed for delivery as late as July. 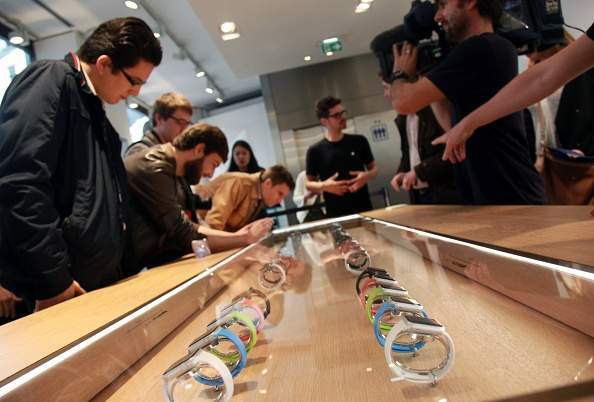 The Apple Watch will be available in physical retails outlets starting with April 24, in 38 different configurations. As you probably know, the prices start from $349 , for the Apple Watch Sport, while the Rose Gold Apple Watch Edition sports a ridiculous price tag of over $12,000, depending on the bracelet. Keep an eye on our blog, as we will be back with more information on this topic as soon as new details about Apple Watch’s market performance will be available. Anybody around here who already managed to get his or hers? Any first thoughts about Apple’s first smartwatch?